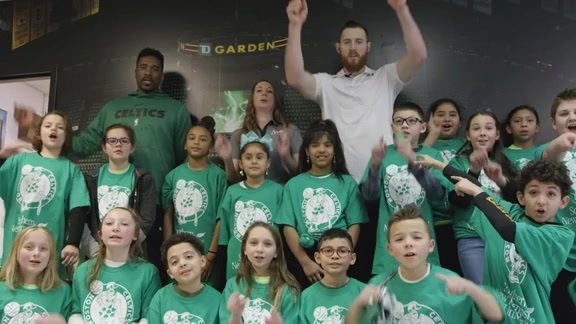 BOSTON – The Boston Celtics are set to tip off the 2018-19 Season with two rookies on their roster. 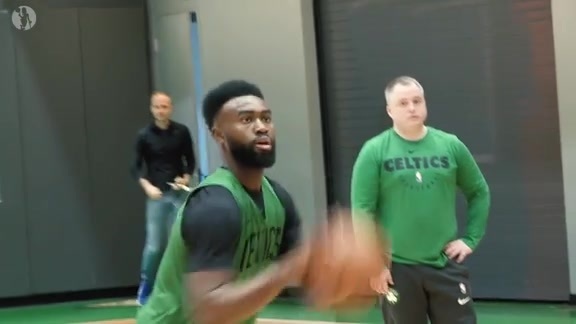 First-round draft pick Robert Williams will be fighting his way for some frontcourt action, while international journeyman Brad Wanamaker will be looking to break out in the backcourt. We've dug up five fun facts on the pair of first-year Celts, so brush up on your team trivia below as they prepare to make their respective marks in the NBA. Brad Wanamaker and his twin brother Brian were both fixtures of the Philadelphia basketball scene growing up. During their senior year in high school, they led Roman Catholic to a 29-3 record and a consensus top-20 national ranking. Brian Wanamaker went on to play college basketball at Central Connecticut, Lon Morris and Texas Wesleyan, respectively, before taking his talents overseas. Like Brian, Brad also played internationally at the professional level, making stops in Italy, France, Germany and Turkey respectively. In between his time in Italy and France, Wanamaker made his way back to the U.S. for a brief, half-season stint with the Austin Toros, whom he helped guide to the 2012 D-League title. Wanamaker played four seasons at the University of Pittsburgh, where he became one of only two players in program history to tally at least 1,000 points, 500 rebounds and 400 assists. Wanamaker and Celtics big man Daniel Theis were teammates for two seasons while playing for Brose Bamberg of Germany’s Basketball Bundesliga. They won the German BBL championship both seasons, with Wanamaker earning 2015 Finals MVP and then the 2016 German BBL MVP. Wanamaker is also a former teammate of Celtics swingman Marcus Morris. The pair played AAU basketball together while growing up in Philadelphia. ESPN listed Williams as the top-ranked player in Louisiana for the high school class of 2016. He was also ranked 50th nationally on the ESPN 100, and was 10th among all power forwards. Williams averaged 25.0 points, 14.0 rebounds and 6.0 blocks per game during his senior season at North Caddo High School, which helped him earn Louisiana’s Class 2A Player of the Year honors. Williams blocked at least one shot during all 30 games of his freshman season at Texas A&M. His streak continued all the way until January of his sophomore campaign, ending at 40 games. Williams nabbed SEC Defensive Player of the Year honors during both of his collegiate seasons at Texas A&M. He averaged 8.2 rebounds and 2.5 blocks per game as a freshman and 9.2 rebounds and 2.6 blocks per game as a sophomore. The only other player in Celtics franchise history with the first name “Robert” was Hall-of-Fame center Robert Parish. Coincidentally, Parish and Williams also share the same hometown of Shreveport, Louisiana.